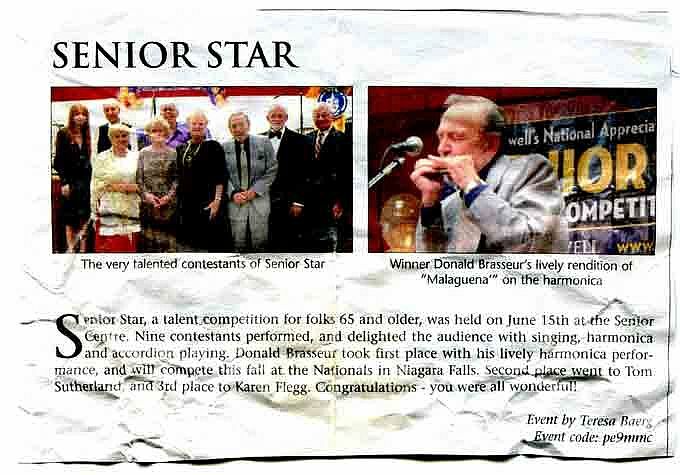 By Samantha Blackwell, FOF RECORDS Inc., FOF Inc.
FOF RECORDS musician Donald "Boots" Brasseur will appear on the Senior Star television show at 9:00PM to 11:00 on Vision TV (Rogers Channel 60) on March 27, 2012. 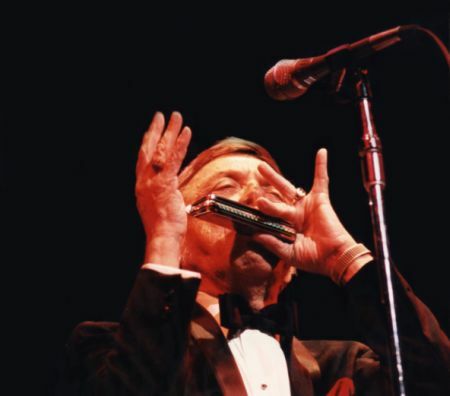 Donald "Boots Brasseur is a world class harmonica musician and also is one of the last D-Day Campaign veterans still living. As a musician "Boots" has appeared in such venues as the Windmill Theater in London, England and Roy Thompson Hall and Maple Leaf Gardens in Toronto, Canada. Don is also no stranger to television with appearances in 1954 at Lime Grove Studios to a program hosted by Adrian Clarkson in the 1980s and al so the Fortress Of Freedom production "The Life and Times of Donald "Boots" Brasseur in 2009. Mr. Brasseur is also an accomplished journalist receiving the IAIJ Award fro Journalism for his work in the documentary "The Life and Times of Donald "Boots" Brasseur." From all of us at FOF and IAIJ, we all wish Donald "Boots" Brasseur the best of wishes in his appearance at Senior Star! Donald "Boots" Brasseur Performing at Roy Thompson Hall!